**THIS PROPERTY IS SOLD** Hot Main St! Fabulous, newer, well maintained 6 bedroom, 4 bathroom home. 3 beds up, 1 down perfect for nanny. Two 1 bedroom suites down - great mortgage helpers!! $200K in recent upgrades; Sub Zero fridge, Jenn Air range, Miele dishwasher, slate flooring, Westminster Maple cabinets, granite counters & Fireplace, Mahogany hardwood floors, LG w/d, new furnace, custom Murphy beds in 3 rooms, sound proofing for suites, remote control awning for rear deck. All 3 units have individual washer/dryer. Some mountain views. 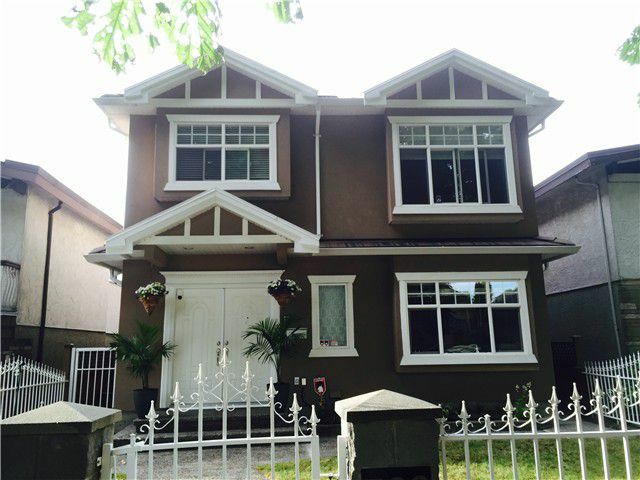 Great location, 10 min walk to QE Park, & close to shopping.